Great salespeople are made, not born – they become great by taking advantage of every nugget of wisdom they can find. This is the attitude you need if you want to become a superstar seller and increase your earnings. Did you ever wonder why some people are able to sell literally anything while others struggle to close the easiest sale? That’s because just a selected few manage to learn the fine art of deal-making, which like any other art requires a lot of study and practice. 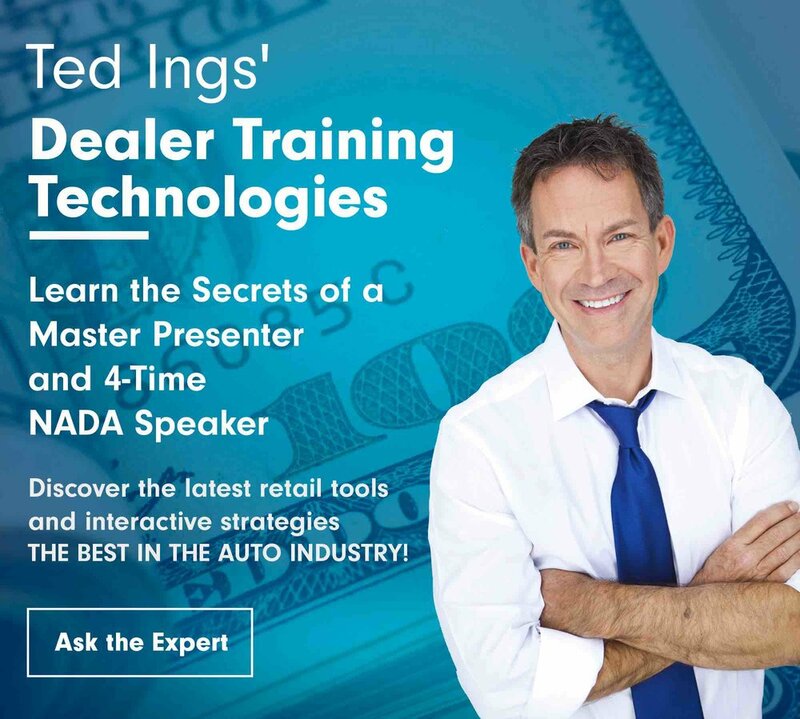 When I started out as a young 19-year old salesperson at Fette Ford in Clifton, New Jersey in September of 1981, I had no idea of the skills necessary to succeed in the retail car business. Looking back, I truly wish I had these tips available to me! Today we have so many resources. We cannot forget we're still in a "people business" and clients want the human connection, whether it be on the showroom floor, F&I office, service drive or even retail/wholesale parts. And we can never stop learning! Of course, it’s very important to choose your teachers wisely, as time available for training is always limited. Fortunately, in sales it’s quite simple to recognize who deserves your attention – only people who already sold a significant portfolio should be taken seriously. Who are your mentors? Over the years I was fortunate to learn firsthand from ZigZiglar, Tom Hopkins, Jim Rohn, and many others. It’s never been easier to access educational resources, with plenty of top-class instructional videos available on the internet, so you really have no excuse for neglecting your craft. "What you think about, you bring about." 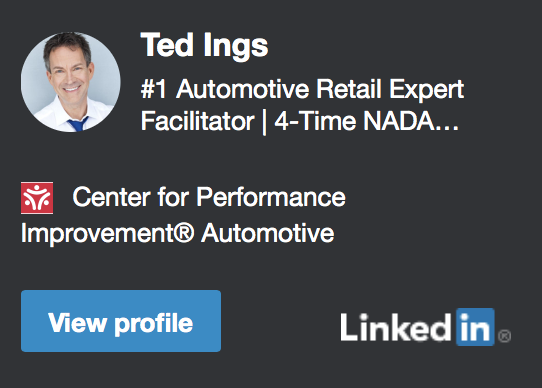 While the car business has transformed over the years, the fundamentals remain intact. If you are not hungry for financial success you probably won’t be able to withstand all the rigors of an intensive sales campaign day in, day out. Motivation is often the deciding factor, and by visualizing your own financial security in the future you are assuming the right mindset that will give you the energy to persist through all the endless phone calls. Instead of rationalizing why your current financial picture is acceptable, you should focus on maximizing your earning potentials as soon as you can. This one should be automatic, but you’d be surprised to know how many salespeople simply go through the motions without any passion. Before you can persuade anyone else, you need to wrap your own head around the product, stand behind it with the full weight of your personality and get the customer involved. Be a good listener, ask open end questions, and be aware of the unspoken signals you may be sending. Your body language and tone of voice are so important to your success. People want to be assured when they are spending money, and nothing can put them off quite like an indecisive sales pitch that basically produces poor customer experience. Remember, if you're going to succeed in the car business, you have to become a "problem solver." Focus on your customer's needs, do the right thing, and the money will come. Following up on leads repeatedly can be unpleasant and psychologically taxing, but the best salespeople know this is the only way to close the deal. If you expect to settle the sale with a single phone call, you are either overconfident in your ability or plainly unprepared for the realities of this line of business. It is often necessary to call up the client up to ten times in order to gain his trust and walk him through the process. An agile approach with an emphasis follow up is the standard those days, at least if you want to make a comfortable living in sales. Follow-up sounds simple, no? You log into the CRM, and your calendar shows you which customers need to be called, texted, or emailed for the day. Yet there are so many sales consultants who fail to call the customer back. Despite having told the customer, they would follow-up. Or worse, they do not bother to ask for their phone number or email. And while following up on leads repeatedly can be both unpleasant and psychologically taxing - the best salespeople know this is the only way to close the deal where you cannot give up after the first follow-up. Making sure, too, that the what you are sending them is relevant, and exciting! You want to give the customer a reason to call you back. For those that do follow-up consistently offering great content, the customers will reply; the sales will come. And as you get “replies” make mental notes - or write them down - on which emails performed better. What subject lines got replies. What time of the day is best to call? So remember, if you find your self-standing on the lot staring out the window - playing on your phone - your chances of selling a vehicle will go down dramatically. Achieving good results in one channel is not a reason for abandoning all others since you need every line of access to potential customers in order to maximize your leads. Even experienced salespeople often tend to stay within their comfort zone and work through the medium they know best, but in reality, they could greatly benefit from expanding their strategy to include additional channels. Cold calling, e-mail marketing, social media drives, direct mail, live visits – all those tools should be utilized wisely, with the exact mix depending on the product or service you are offering. Talking about a deal is one thing, and staring into an agreement waiting to be signed in something else completely. As soon as you can write up the deal, you will be on your way to closing the deal. Of course, you need to recognize the right moment to make your move, but far too often salespeople remain passive and allow a stalemate to develop in the communication with the client. The only way to break the deadlock is to get practical and start formalizing the agreement, thus bringing it one step closer to realization. Don’t hesitate, take out that contract and start discussing payment options right away! Sales skill translates very well across categories, so you should use every occasion to pick the brains of brilliant money makers regardless of their primary field of expertise. While most ideas can’t be replicated one-for-one, it’s often possible to adjust them to a different application. The truth is that psychology of customer satisfaction is similar no matter what you are selling, so it makes perfect sense for an automotive dealer to take tips from a real estate agent or vice versa. After all, you never know whether a random idea you hear might inspire you to take your game to the next level. Repetition is the mother of skill, and this holds true even if you already made millions in sales. If you are not sharpening your instincts at every occasion you get, you are bound to fall prey to younger, more aggressive and harder working competitors. A relentless work ethic is often overlooked as a factor of success – all those slick salespeople you admire have put in the hours to become true experts. Never allow vanity to get in the way of knowledge since there are countless sales strategies could that work for you if you are open-minded enough to discover them and persistent enough to perfect their execution. If you apply at least half of those tips to your daily work, it won’t take you too long to see your sales fortunes change for the better. They are applicable to practically any industry, although the particulars depend on your situation. Ted’s Playbook is based on firsthand experience, so we make our content as ground-bound and actionable as possible, allowing you to benefit directly. Come back as often as you like for more quality content related to various business topics, and feel free to tell your friends about this valuable resource.